Haleakalā is a huge shield volcano that makes up most of the island of Maui in Hawaii. 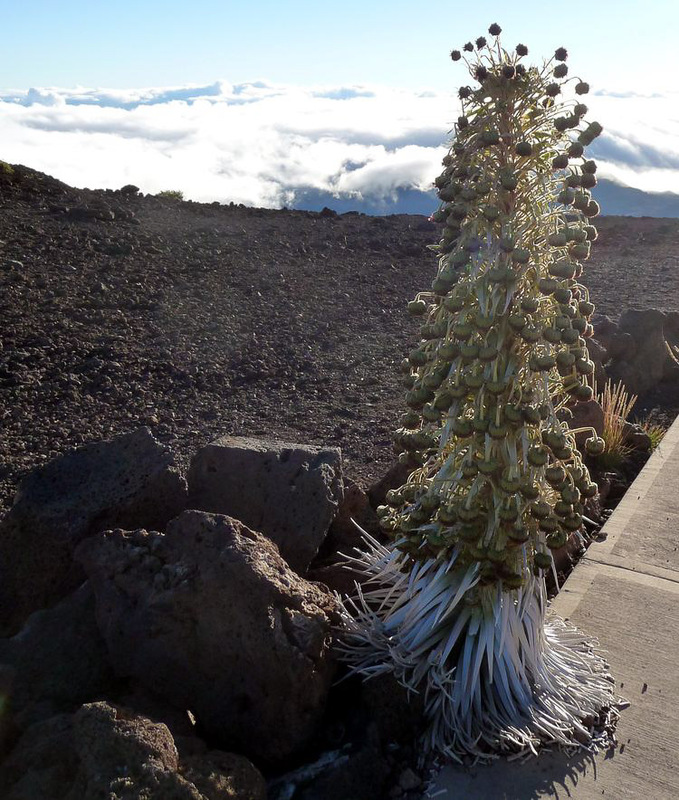 It tops out at just over 10,000 feet and is the only place in the world where you can find the rare and threatened silversword. 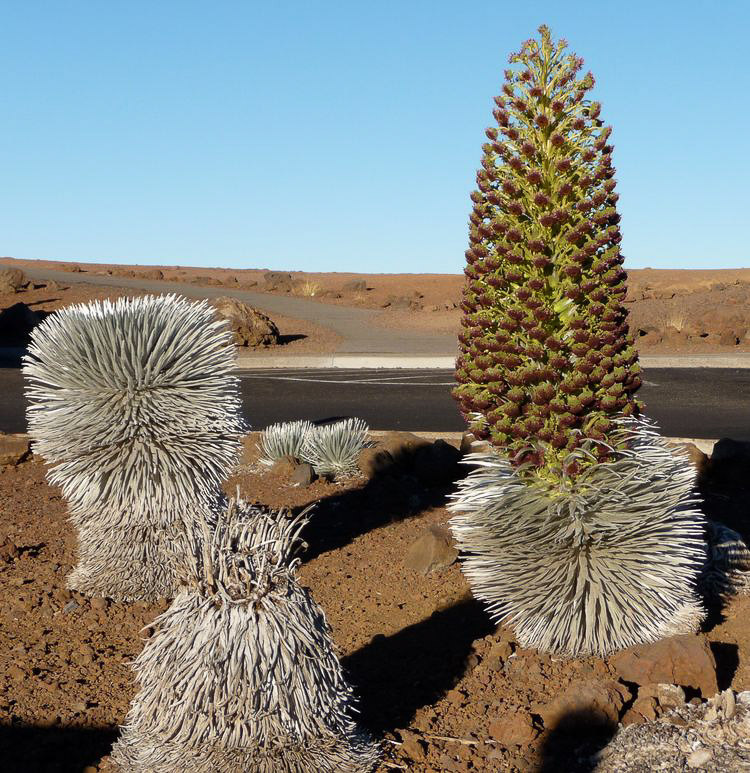 Or more precisely, the only place you can find Haleakalān silversword—a close relative can be found on Mauna Kea on the big island of Hawaii. The photos by Erin Senoz are reproduced here from EPOD, a service of NASA’s Earth Science Division. Identification: Silversword is unmistakable in appearance, and in the unforgiving volcanic detritus of a young cinder cone there are few nearby plants with which it could be confused. It forms a dense pin cushion of silver-gray, sharp-tipped narrow leaves, often with a hula skirt of older, dried leaves below the living ones. (The Hawaiian name, ʻāhinahina, means “very gray.”) The Haleakalā variety of silversword is found only at elevations between 1.3 mi (2.1 km) and the summit, at 1.9 mi (3 km). When the plant reaches a diameter of about 20" (50 cm), it produces a single, spectacular spike of maroon-colored flowers up to 6½' (2 m) high. The flowers produce seed and the plant dies. Silversword’s rather extreme approach to reproduction—growing for 50 years or so, then flowering and dying—is by no means unique. 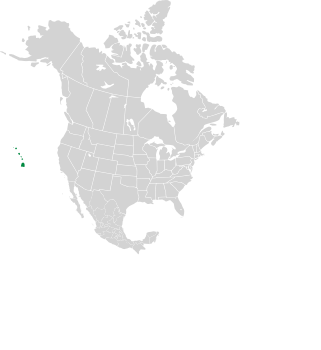 Plants with this curious trait are called monocarpic, and agaves and some yuccas are among them. Argyroxiphium sandwicense ssp. macrocephalum description by Thomas H. Kent, last updated 12 Oct 2018.